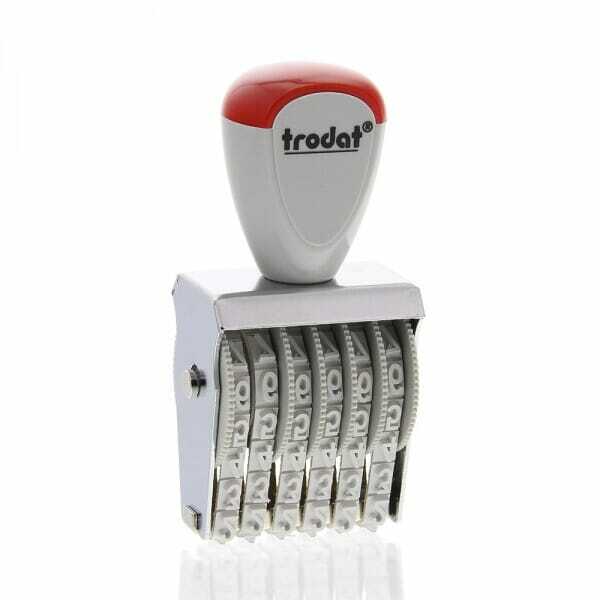 A durable hand held traditional rubber stamp fro m the classic line of stamps. The 1556 is a numberer stamp that is produced with 6 bands with each band having 0-9 digits, meaning it can create an impression from 000000-999999. The character size is 5 mm. The Classic Line range of stamps is for use with a traditional stamp pad. Customer evaluation for "Trodat Classic Line 1556 Numberer - 5 mm, 6 bands"